If you’re looking for the latest Honda cars, trucks, and SUVs, as well as the finest customer service and friendly, knowledgeable staff, then you’ve come to the right place. Sterling Honda in Hamilton has everything you want when considering a brand new Honda Civic, Accord, CR-V, Odyssey, or Pilot. Explore what we currently have in stock in our new inventory, or browse our new specials to find cars, trucks, and SUVs at outstanding prices. For everything Honda-related, come to Sterling Honda in Hamilton, ON. Our comprehensive lineup and incredible customer service are sure to impress! If we do not currently stock your ideal vehicle, simply complete the CarFinder form and we will begin the search! Learn more about our Honda Certified program. Few cars have names that carry as much weight as the Honda Civic. In the last 2 decades, this sedan has brought affordable, reliable, entertaining driving to the masses. And now the Civic brings a wealth of new technology, driving aids, and a powerful and efficient turbocharged engine. The new Civic is definitely one compact car to keep your eye on. This mid-sized sedan blurs the lines between traditional family cars and luxury vehicles. The Honda Accord offers a beautifully appointed and spacious interior along with your choice between two efficient, powerful engines. Combined with Honda’s latest safety technology, the Accord offers just what you’d want in a family sedan, and so much more. 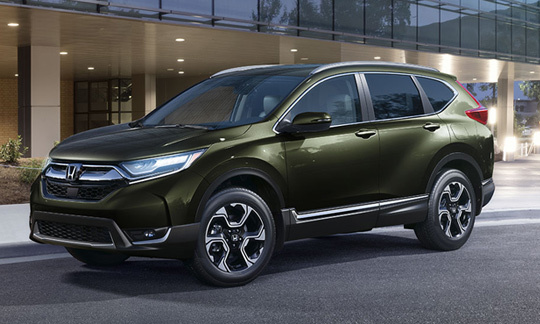 Leading the pack in the compact crossover segment is one particular model with the handling of a midsize sedan, the roominess of an SUV, and the safety ratings of a Honda. This is the new Honda CR-V, and it’s the winner of Motor Trend’s 2015 Sport/Utility of the Year award! Find it for sale here at Sterling Honda. 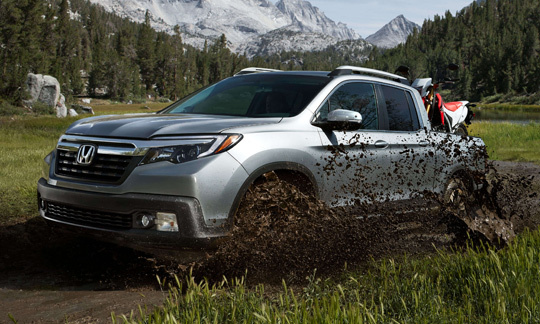 For when you need maximum space along alongside all-terrain capability, you want the Honda Pilot. This full-sized SUV has been revised to offer increased versatility and luxury, while simultaneously increasing fuel economy and performance. Add in a lot of cutting-edge technology, and you have a large SUV ready for anything you throw at it. Practical, intelligent, comfortable–these are just a few of the words used to describe the new Honda Odyssey. This 8-passenger minivan is just what you need for getting your entire family–plus cargo–anywhere you want to go! With handsome styling, clever interior features, and advanced safety technology, you have one of the best minivans in all of Canada. When an automaker like Honda announces a new addition to its lineup, the world takes notice. This is the beginning of the story with the new Honda HR-V, a compact crossover SUV which serves to combine the look and safety of a larger SUV, with the handling and versatility of a smaller hatchback. Come try it for yourself and you’ll experience these advantages first-hand. It’s called the “Fit” for a reason. The new Honda Fit, now available at Sterling Honda, is designed to fit into any lifestyle. This subcompact is one of the most fuel-efficient ones on the market, period. It averages out at 6.5 L/100km with its continuously variable transmission, while providing a shockingly spacious interior, adjustable to suit any kind of driver. More and more Canadians are discovering the many unique advantages to owning a pickup/SUV combo. Featuring a roomy, comfortable interior that will please your family, while providing you with more than enough storage and hauling capacity for practical purposes, the new Honda Ridgeline is a great choice for both work and play.